- Selection of assorted flowers offered. Our organization has gained recognition as an affluent manufacturer and wholesaler of Diwali Hanging . We deal in a wide variety of Diwali Decoration lamps and kandils. To furnish the varying desires of our customers, we are immersed in offering a world class consignment of PVC Kandil. We deals in colourful sheets and cards used in making diwali lantern and other decorations. Backed by our vast industrial acquaintance of this area, we are involved in offering of Diwali Kandil Lantern. 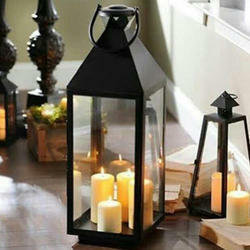 we have 2 to 6 feet lanterns, different shapes, different quality available. We have special lanterns for corporate events, gifting, marriage (where respect matter than money). Diwali is the most glamorous and important festival in india. Houses are illuminated with rows of clay lamps and are decorated with rangoli and aakash kandils. We offer these kandils to our clients.